Product prices and availability are accurate as of 2019-04-21 06:35:10 EDT and are subject to change. Any price and availability information displayed on http://www.amazon.com/ at the time of purchase will apply to the purchase of this product. Arista Network's networking products are the go-to solution in the hyper-engineered worlds of mega data centers, high-performance computing, and high-frequency trading. 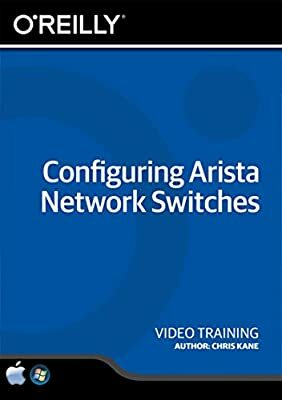 In this video, Arista Network veteran Chris Kane offers system administrators and entry level network engineers an overview of how Arista gear is used in today's cloud networks. You'll learn about the Arista EOS, industry standard networking protocols, and the features Arista uses to implement and operate data center networks. 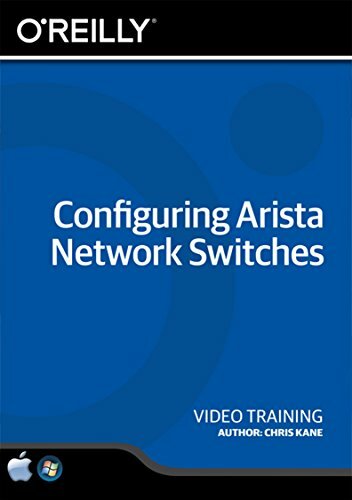 You'll come away with solid IP networking knowledge along with a practical understanding of how to configure Arista network switches and integrate them into a network infrastructure.